You are looking at an exceptionally good and solid Land Rover 110 Ex mod, manufactured in 1994. The chassis is in incredible condition with no welds or repairs. The bulkhead and rear crossmember are both in the same great shape. The bodywork is very good and the interior although very straight, could do with a bit of a clean out! It starts on the button with ease and drives really really well. It has only covered 29,700 miles and was in service for the RAF Logistic Support Squadron in Cyprus before being discharged. As yet, it is unregistered and comes with its mod disposal letter and a full 12 months mot with no advisories, so it is ready to register and go! If you have any questions whatsoever, please feel free to phone me on 01204 465235 anytime up until around 10.00 in the evening. 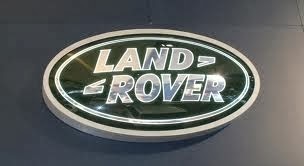 The Land Rover is situated in Bolton, near Manchester and any inspection is invited. Delivery can also be arranged if required, good luck!